Little kids, 3-6 years old also have their space for martial arts. The Lil Dragon’s Program at the Academy of Martial Arts is designed for children ages 3-6 years old. We have been approved by the Department of Children and Families (DCF) after a Level 2 federal background check to ensure that all our instructors are cleared and are safe to teach your child. This delicate age group is taught with positive encouragement and enthusiasm through fun exercises that will help them develop basic hand-eye coordination. 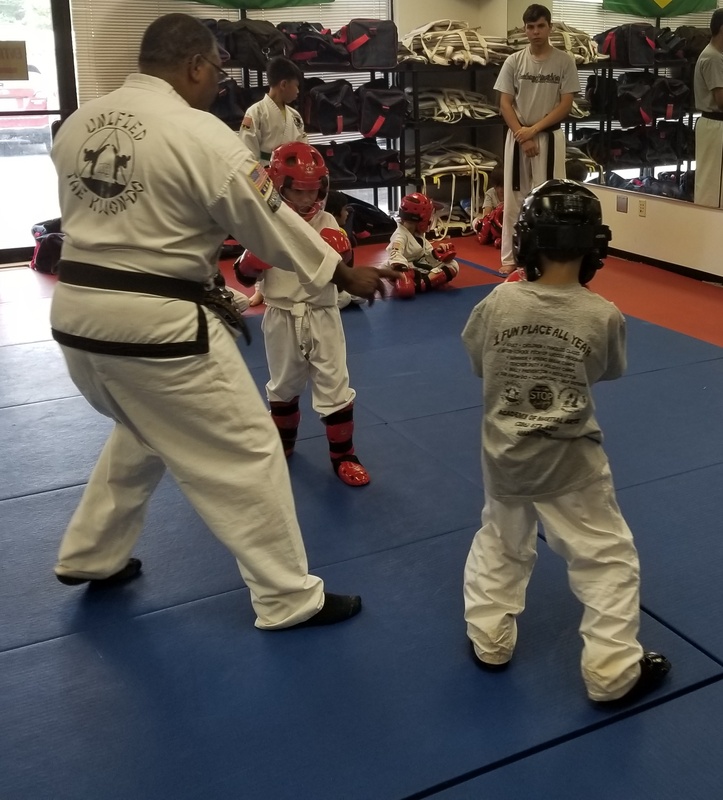 In our Taekwondo based program, your child will learn proper kicking, punching and blocking techniques to develop basic self-defense and sparring skills. We also teach them the appropriate time and places to use their martial arts skills. The Lil Dragons learn valuable life skills designed to develop good manners by teaching them to listen and following directions, develop courtesy and respect as well as gain self-control. Safety Skills such as Stranger Awareness, Lost Child and Personal Defense are taught through role-playing in class. All these skills they develop here will ensure to make them a great success at preschool and beyond.